Medical Malpractice is a specialized area and you've come to the right place to help your family and your child with the unique issues that families who have been affected by medical malpractice experience. First, this is a specialized area of law and you've come to the right place. Representing children and helping families with the problems they face when a child was injured due to medical mistakes is what we do. 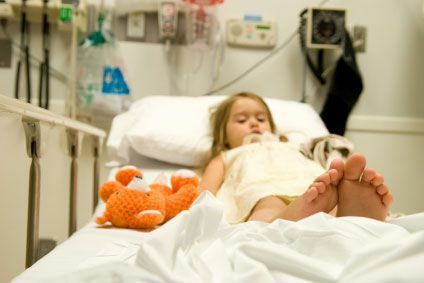 Medical malpractice cases against hospitals require us to investigate the cause of the injury, your child's medical condition, the medical records, review medical literature and studies and review the information with experts in different fields - doctors who specialize in pediatrics, pediatric neurology, hospitalists, neuro-radiology, and other specialties depending on the child's condition. Our investigation is what sets us apart, because we work with some of the most renowned experts in their fields to make sure every aspect of your child's care is considered. Once we agree to investigate a medical malpractice case, we'll do that for free and share the results of the investigation with you. If our investigation tells us that we can prove a case and help your child and your family, our fees are contingent - meaning you pay only if we win, there is no fee if the case is lost. If you're thinking about talking to a lawyer about any serious medical mistake, order a copy of our Medical Malpractice Lawyer Evaluation - there are a lot of lawyers who advertise for these cases but don't be fooled by slick ads. This form is designed to help you find the right lawyer for your medical malpractice case, someone with the right experience, training and resources to help YOU. Remember, anyone can buy an ad but that doesn't mean they've tried medical malpractice cases to juries, that they know the risk managers, insurance companies and defense lawyers (and are known by them), that they work with top experts in the medical field, or that they'll even handle your case. It's an important decision for your family. Don't take our word for it, interview us too. Just call us at (202) 393 - 3320 or order your free lawyer evaluation through the website and you'll get it today.